Girl Kuripot Girl Kuripot: Win a Million Mabuhay Miles and a 4D3N Trip for 2 to New York! Win a Million Mabuhay Miles and a 4D3N Trip for 2 to New York! 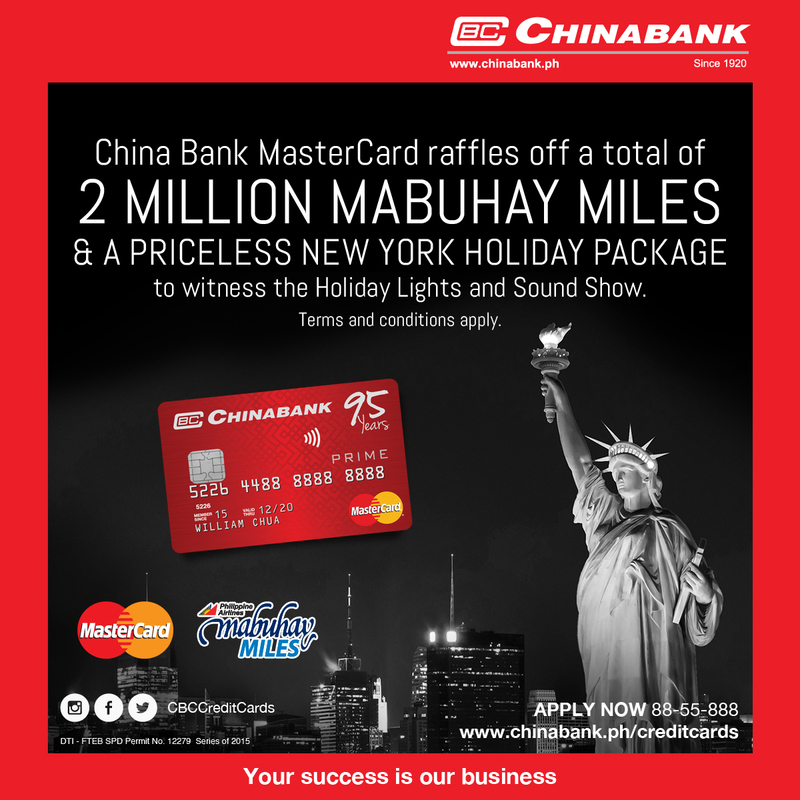 This is a chance to win a million Mabuhay Miles and a 4D3N trip for 2 to New York! Every P1500 purchase using your China Bank MasterCard entitles you to an entry. Then enter your details online. You have until November 15, 2015! Click here for more info on the China Bank MasterCard Raffle Promo. Win a Beach Getaway for 2! @DestinAsian_Mag, Win a Stay at Maldives! @AirAsiaPH, Win a Trip to Hong Kong! Win a 80D Trip Around the Philippines! Join the Sharing ASEAN Video Contest! @BTAsiaPacific, Win a 2N Stay in Korea! @BTAsiaPacific, Win a 2N Stay in Xiamen! @indtravel, Win 1 of 10 3D2N Trips to Indonesia! Evian Philippines, Win a Cruise Trip for 2! Join the Tag the Fun Contest! Win a 3N Trip for 2 to London! Join the Korea, Our Stories Contest!